Bring on the bold and bright summer colors! We’ve had our fair share of darker tones. Now it’s time to switch it up. Even if you prefer a more toned down style, there is still room for statement colors and prints. Having a closet filled with neutral solid colors and prints, surprisingly, makes it a lot easier for you to add whatever you like, and already have plenty of outfit options. I came across this beautiful yellow scallop top that would make a great addition to your summer wardrobe. This style top can work for any body type, and you can wear with any styled bottom, I would be cautious of pairing with a loose-fit and flat combination to avoid a frumpy look. And if you’re not a fan of sleeveless tops, add a lightweight layer instead of completely ruling out everything sleeveless. 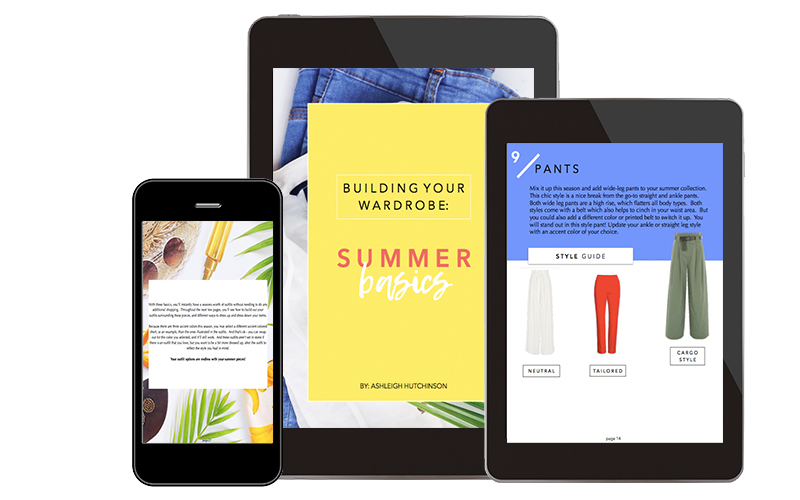 In The Basics: Summer Style eBook, I’ve laid out the basic pieces you can wear with everything in your closet or any new pieces you add. By focusing on your basics first, you’ll never have to worry about buying something and then struggling to wear it or wearing it only one time. With your basics, you can style the same pieces over and over again in different ways. The below outfit ideas are from this eBook, and instead of a basic, I paired with the scallop top - and you instantly have more than one outfit around this one top. Your summer basics will allow you to get more wear out of your clothes without having to constantly spend money thinking that is your only way of creating new options. Here are three ways you can wear your scallop top this summer. If you decide to go with a different color, it’ll still be a match with these outfits. You can get the complete outfit guide, shop the full looks, and use these 100 outfits as your way to building out new outfits around your clothes this summer - click here. Brighten up your wardrobe with a little color! 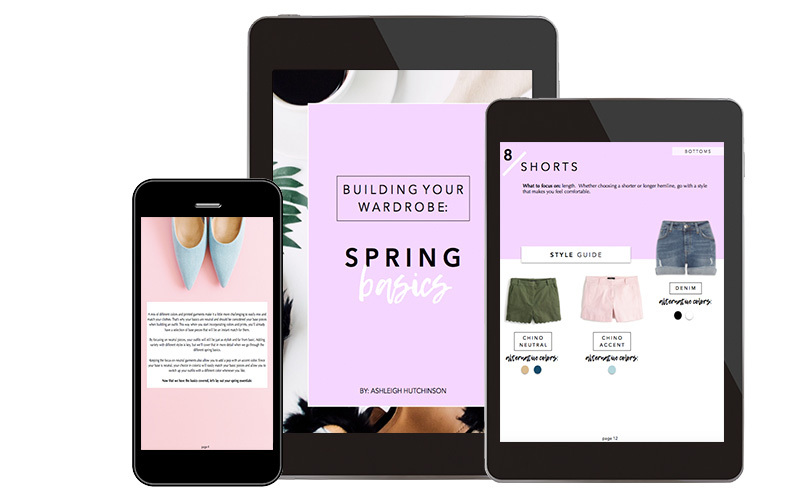 This eBook will also help you with adding complementary colors, mixing prints, and combining colors and prints with your outfits.